Do you play Canasta, or know someone who does? If you do, then Play a Hand and Lend A Hand. 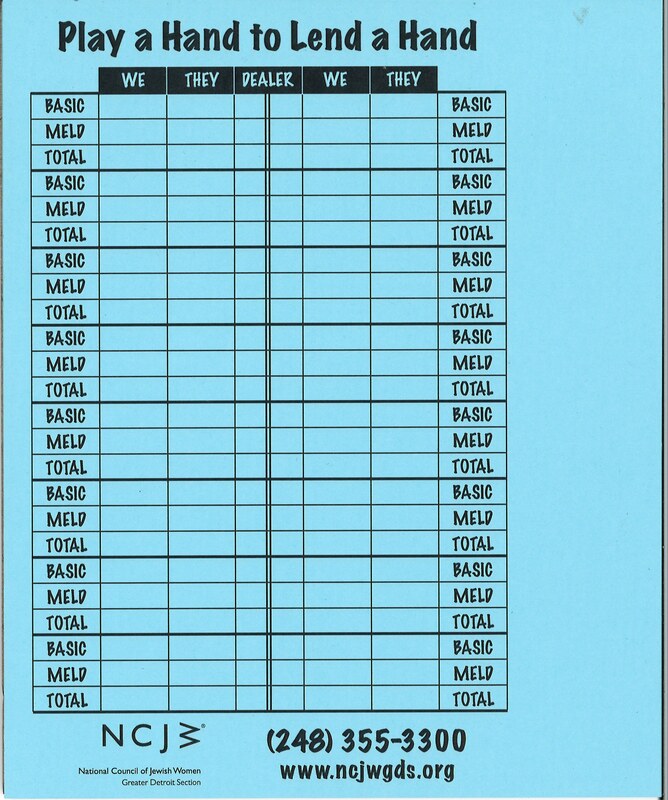 Purchase pads of scorecards and NCJW | MI benefits. Pads of 50 pages are only $5 each. Please note, online orders will be subject to a shipping charge of $1.25. 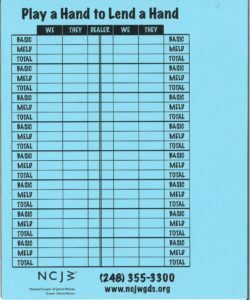 Pads are also sold at the NCJW | MI office or NCJW events.